President Donald Trump reportedly puts Fox News host Lou Dobbs on speakerphone during White House meetings. Trump reportedly tells Dobbs about the administration's more sensitive issues, and asks him for advice. Trump and Dobbs hold similar views, and Dobbs defends Trump on TV while Trump praises Dobbs to his inner circle. 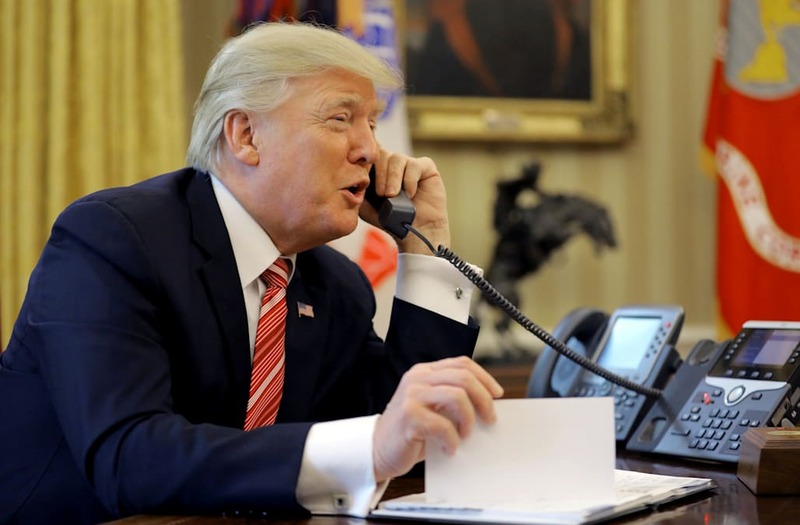 President Donald Trump makes no secret of his approval for Fox News and distaste for other outlets like CNN and MSNBC, but a new report says he actually calls a TV personality on the conservative network to have them participate in meetings in the Oval Office. Trump reportedly calls Fox News host Lou Dobbs to gossip and ask advice, and will even put him on speakerphone during White House conversations on "some of the administration’s more sensitive discussions," The Daily Beast reports. Dobbs holds similar views to Trump on immigration and other key issues, and has often defended the president against his critics, conservatives and otherwise. "He cherishes Lou," The Daily Beast quoted a senior White House official as saying. During Trump's tax reform push, he reportedly insisted on speaking to Dobbs, and remarked after hanging up "love Lou." Trump often promotes Fox News programs like "Fox & Friends" and has not given an interview to MSNBC or CNN since taking office. Trump has often said he does not watch CNN, but frequently takes to Twitter to comment on their coverage of him.